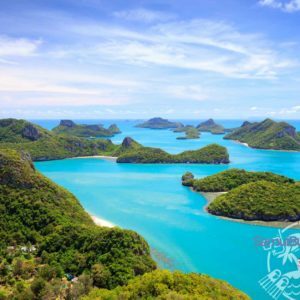 SamuiBus.com | Book Airport transfer to Bang Por in just a few minutes! Bang Por Beach – is the endless expanse. Bay beach forms the northern coastline of the Laem Hin Khom cape, that is why it is famous for its sunsets. But it is also beautiful in a sunny day, at low tide when stretching to the horizon cream colored sandbank make it looks like a piece of layer cake in a turquoise glaze. This is the one of the boondocks of Samui, far away from the ring road. 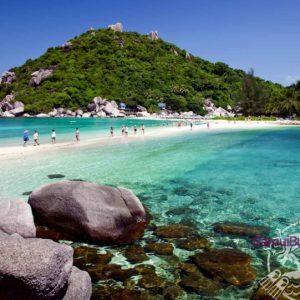 Get from the Koh Samui Airport to the hotel in Bang Por Beach and back will be so easy if you will think about it in advance. Just book Transfer service!